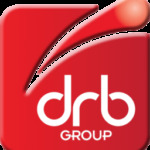 DRB Group is a trusted partner to the Nuclear Industry. Is there scope to improve health and safety practices with more automation? Is unplanned downtime causing you issues? Do you need to replace or refurb discontinued components to complete decomissioning? Is innovation and experience important to you? When your industry demands experience, attention to detail and innovation, DRB delivers. A typical project makes use of all DRB’s in-house capabilities, from design through manufacturing to commissioning. The benefit of this is a completely bespoke, fit-for-purpose solution to meet your requirements and challenge. Clients also benefit from our in-house innovation team where CAD models are created, and Finite Element Analysis can be performed where critical safety requirements are stipulated. Customers trust DRB to turn desired results into installed components. Although we have supported nuclear clients for many years, we are working towards the ​Fit for Nuclear​ standard to support our experience in the industry.